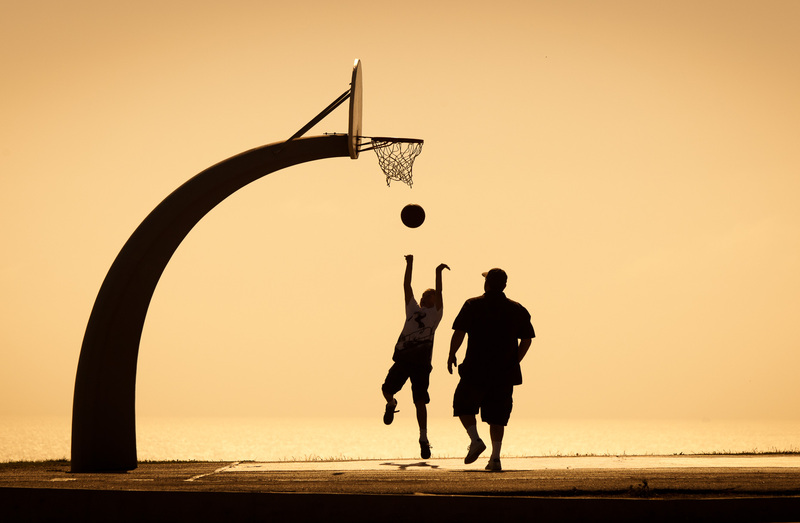 Silhouette of people playing basketball on court with sunset sky in background. Fitness. David Zaitz Photography.